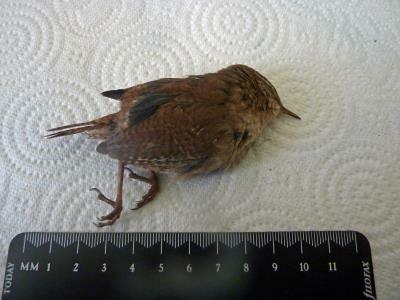 Bird Id - Forum - Identifying Birds - What Has My Cat Killed? Forum > Identifying Birds > What Has My Cat Killed? 1 Sadly, my cat brought this to me. Please can you tell me what it is? It has been the cause of much heated discussion and people are saying it is either a Wren or a Dunnock. 17 The patterning on the edge of the wing, and the head stripe indicate it was an unlucky wren.